Join us we travel to the Tasman Peninsula and Port Arthur Historic Site. Today’s full day excursion travels from Hobart to the Tasman Peninsula, just a short 90 minute drive away. 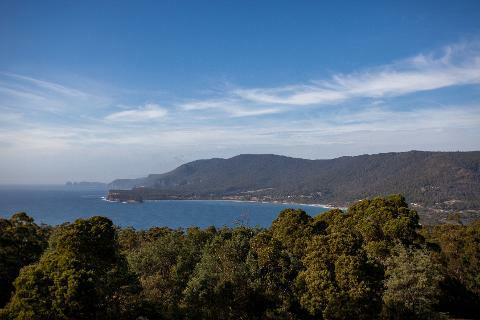 As we travel through to the Port Arthur Historic Site we make a short stop along the way at the stunning Pirate’s Bay Lookout. Here your Tour Guide will introduce you to the surrounding area famous for its towering sea cliffs. Here we will also view the local landscape with its narrow isthmus, a feature that assisted with this area being selected as a convict settlement. From here we travel directly to the Port Arthur Historic Site. 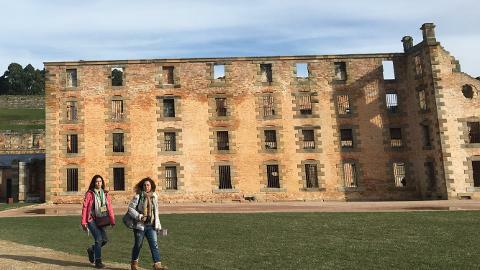 Port Arthur has over 30 buildings, ruins and restored period homes set in 40 hectares of landscaped grounds. We usually have around 3 hours available to allow time to experience all that Port Arthur has to offer. 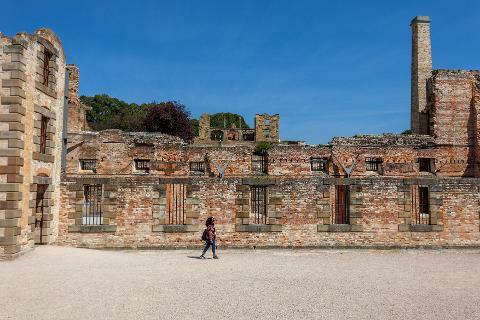 We can walk amongst the main penitentiary; see the solitary confinement cells and discover the rich history and beautiful surrounds of this evocative World Heritage open air museum. 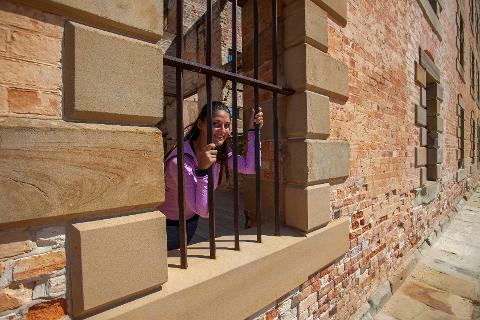 Deemed an inescapable prison your visit here will unveil the grim and violent history of the early Australian Penal system. This fascinating day will give you great insight into what it was like to be sent to Van Diemen’s Land as a convict. 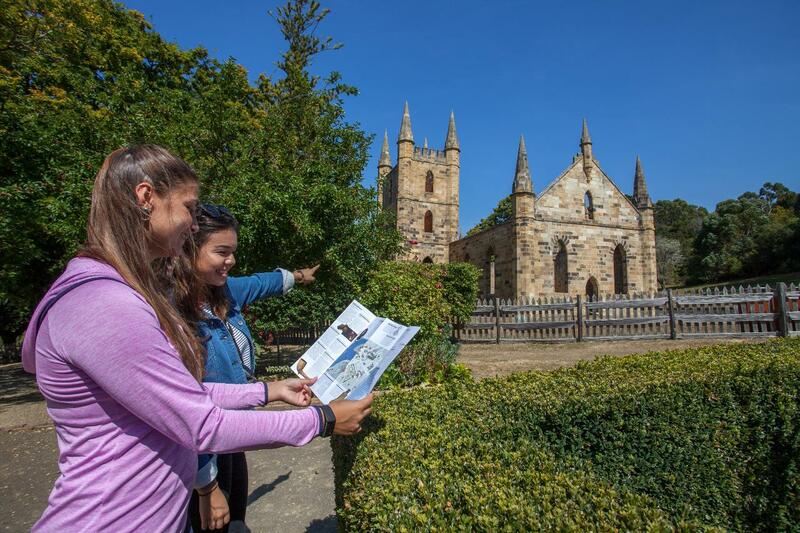 Your entry to Port Arthur includes a walking tour with one of the Port Arthur expert guides. Your entry also includes a complimentary Harbour Cruise around the Isle of the Dead. We return directly to Hobart and drop you off the Cruise Terminal/Hobart Wharf area as you please. This tour is ideally around an 8 hour excursion. Start and finish times are adjusted to suit arrival and departure times of Cruise Ships that are in Hobart for adequate time to undertake this excursion. We will pick you up from the Hobart Travel and Information Centre, 20 Davey Street, Hobart. The information centre is the on the corner of Elizabeth and Davey Streets. It is a very short walk from the Cruise Terminal. Please try to arrive around 8.40am ready to meet Tours Tasmania and depart at 8.45 am. If you have any concerns along the way you can call our office on 0439 035 463 or 03 6231 5390.